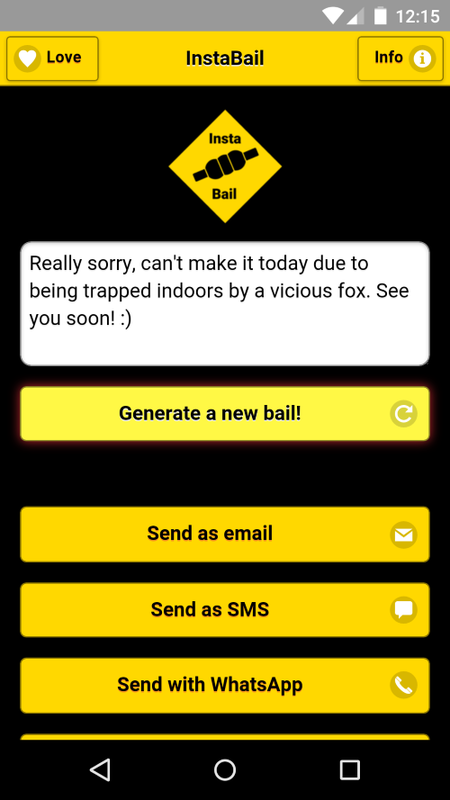 I’ve made a fun offline mobile web app that generates random excuses and easily lets you share them. It uses real-time train and tube delay information for more realistic bails. 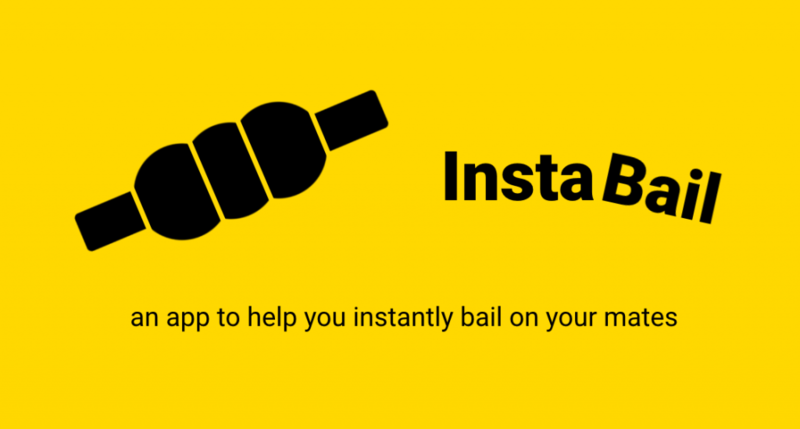 Visit instabail.uk to check it out. It’s a static website hosted on GitHub pages using CloudFlare for caching and HTTPS support. 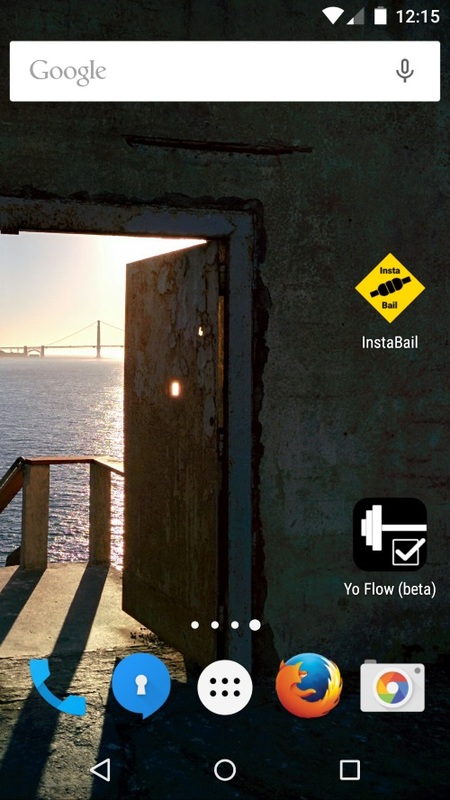 You can “install” it to run it full screen like a native app and it will run offline too. I wanted to experiment with the new “Add to Home Screen” banner functionality in mobile Chrome. I’ll write more about the intricacies of this (and the problems of getting the app to work well on iOS and Android) another time. If you launch the website more than once on different days then a banner will appear that prompts you to add the web app to your home screen. You then get a nice icon that you can launch the app from (the iOS icon is slightly different as it doesn’t support transparency). Launching the app from the icon runs it full screen. 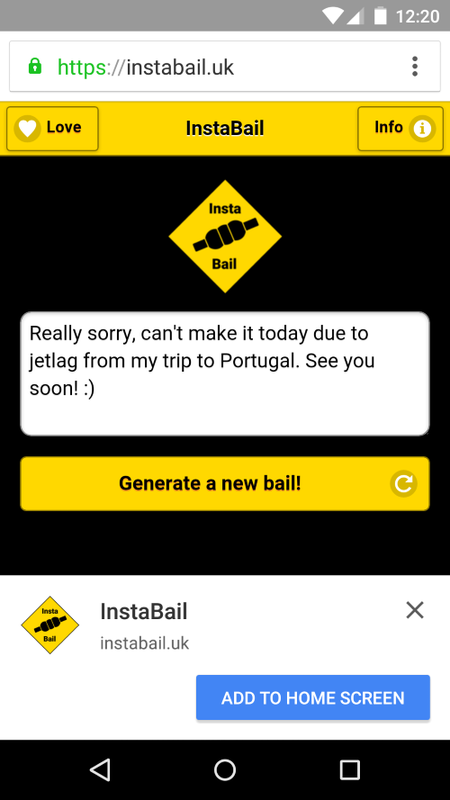 The app will work without a data connection (but you won’t get some of the latest bails).